Leaf fans (indeed, the whole league) are sick of the William Nylander saga, which will mercifully end this Saturday one way or the other. But that’s not going to be the end of the story. Regardless of what Nylander does, his negotiation will almost certainly establish a new template for the NHL, which could well become THE ultimate precipitant of a new work stoppage in 2020. Here’s why: There has never been a time when the NHL has had so many good young stars dominating the league. And a plethora of them are coming up for negotiations next year: Auston Matthews, Mitch Marner, Mikko Rantanen, Matthew Tkachuk, Sebastian Aho, Jacob Trouba, and Zach Werenski, to name but a few. 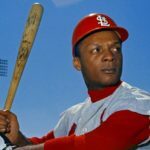 William Nylander is a modern day Curt Flood. He’s definitely taking one for all of these players and in the process raising a much larger issue that the league has to address. We’ve never had this many really young stars before, and players are getting used up at younger ages than ever before. Hence, they SHOULD be getting paid earlier. Their careers could well be over by age 30. Certainly, by that time they will have passed their maximum earnings potential. Given these new realities, the current system therefore makes no sense. There needs to be a way for these players to get paid in their actual primes. At the same time, rewarding these players according to a genuine market value in a salary capped league means that teams which have historically drafted and developed well are in effect penalized for doing so, since they are likely to lose a number of promising young players just as they are hitting their prime. The Leafs could well find themselves in this situation as early as next season. Likewise Colorado. Or Tampa. The upshot is that nobody will be happy. The teams have to overspend for their young stars or force them to sit for a season (which means converting a live asset into a dormant one). From the players’ perspective, the current system means they don’t get the cash they deserve when they deserve it. All of these elements are playing out in the Nylander negotiation. It was once thought that the next Collective Bargaining Agreement (CBA) would be fought over the issue of escrow and the Olympics if and when the CBA was reopened. Those seem like small fry issues in light of the can of worms that Nylander has opened up. This is why there might well be another work stoppage. Because more and more teams are going to be frustrated that the rules don’t even allow them to keep all of their good players if they successfully draft and develop a whole bunch of them. If you’re too good at it, you’ll eventually lose the player to another team, which effectively profits off your superior drafting and development. At the same time, the players will want to maximize their earnings as young as possible, given that their careers could well be over by their earlier 30s. Probably something along the lines of what the NBA system has today – 5 year entry level contracts, followed by an immediate move to unrestricted free agency. There will be no restricted free agent category. No more offer sheets (which are never used in any case). And max contracts will likely be capped at 5 years in length (which will be great for the elite players, but equally disastrous for the league’s “middle class”). And here’s another side-effect of that sort of a reconfigured CBA. There will be ZERO players like Patrick Marleau playing on $6m plus contracts at age 39. 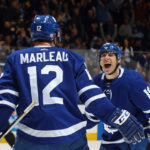 Granted, Marleau is a genetic freak, but the next genetic freak who somehow manages to continue to play that long will be playing for something far closer to the league minimum. In fact, entry level style salaries will likely be replicated for the 30 year old plus players in the league, as more and more of the salary capped riches are divvied up amongst the young stars between ages 23-30. I’m sure nobody had this in mind when the Nylander negotiations started. 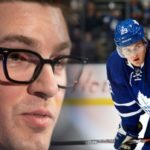 Instead of reaping criticism, Nylander and his family should be celebrated by the players for understanding the new league realities earlier than anybody else (including his own GM, Kyle Dubas). December 1st might represent an end for the player, but a new beginning for the NHL as a whole.